Like a garden floating in the Atlantic, Madeira blooms year round with a diverse range of flora from all over the world, and walkers are spoilt with lush greenery even in the dry season from July to September. 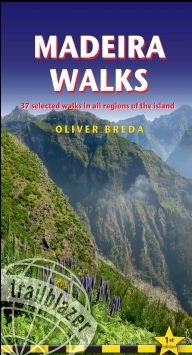 Yet Madeira offers much more than this: lovers of rugged, wild and natural landscapes will also find everything they could wish for in a perfect walking destination, right here. The island features a jagged landscape with steep valleys and an indented coastline. Despite this, Madeira has something for everyone: from pleasant strolls along the levadas, the islands unique irrigation channels, to challenging walks of an Alpine character.